GST Billing Software will be the initial requirement for any small or big business owner after the implementation of Goods and Service Tax (GST) in the country. After 1st July 2017, every business will need a new billing management system, which should be working according to the new tax regime of India. For this, many companies like ClearTax, Tally, and Marg Accounting has introduced their new billing softwares, which have been developed completely based upon the new Goods and Service Tax guidelines. Meanwhile, we have also developed a new GST billing software named as GO GST. The GO GST has been entirely developed as per the new tax guidelines by the Government of India. Moreover, the software has been built using the most secure programming language Java (Cloud) and .NET Platform for desktop version while also possessing a variety of features, which can make your billing and tax filing very easy. 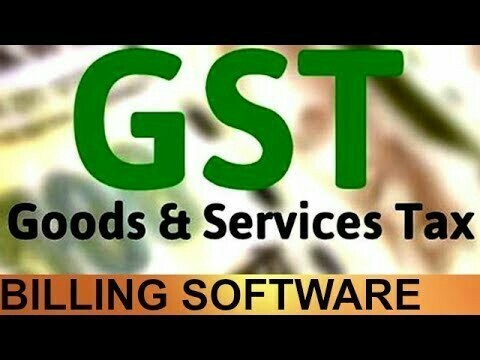 Actually, unlike other accounting and billing softwares, GO GST doesnt require any professional or technical knowledge for using it, even a common person with no hand in technical knowledge can use it with an ease. Let us see some of the important features and their presence in the newly arrived billing softwares. Features	GO GST Creation of Masters	Platform Independent	Developed in Secure LANGUAGE Data Import Data Validation	Industry Specific Format	Indication for Loss, Min, Max, New / Old Rate & MRP Customized Reporting	Data MANAGEMENT Customize Theme	Sales REPORT DISCOUNT CALCULATED AS PER YOUR DIFFERENT CUSTOMERS REQUIREMENTS AUTOMATICALLY. CGST /S GST /IGST INCORPORATED We will also be providing unlimited GSTIN No. registrations in the application for you to create clients according to your needs. The GST billing and e-filing software has been developed under the guidance of CA professionals by highly skilled and experienced software developers to provide you with an ultimate combo of Accounts and Technology for easy working of the new Goods and Service Tax. As the company has added several unique features if compared to other companies as it knows very well all the needs of small business owners from its experience of catering taxation software to thousands of clients. Established in the year 1990 at Pune, Maharashtra, we, Venus Distributors, are a sole proprietorship firm and a highly acclaimed Manufacturer, Wholesaler, Exporter, Importer and Distributor of premium quality Herbal Tea, Breakfast Tea, Green Tea, Fruit Drink, Red Grape Drink etc. These are manufactured at our vendor’s end by using premium quality ingredients in compliance with food health and safety standards. The products offered by us are available to clients in multiple flavours at extremely affordable prices. These are well known for their exceptional taste and strong aroma.